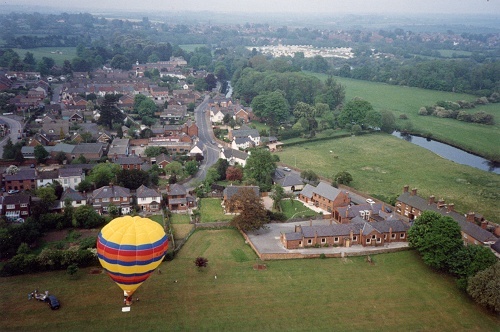 Taken from a hot air balloon in the mid 1990s. The old Primary School can be seen centre-right. To the right is the River Soar. Proctor's Park can be seen in the distance in Barrow.